Superior Plumbing specialise in providing fast and effective tap replacement and repairs. Our team of qualified plumbers can assist with jobs of all sizes. From simple tasks, such as a washer replacement on a leaking tap, right through to extensive kitchen and bathroom renovations. We can help diagnose leaky taps, lack of pressure, uneven temperature, noisy lines, and more. Contact us today for a no obligation free quote. If you have taps in your place of business, or home that need repairs, or even replacing, be sure to give us a call at Superior Plumbing. We have a dedicated team of qualified plumbing professionals, ready to take on any job, big or small. We can supply and fit, repair or even replace your taps – fast and without fuss. In addition to basic tap repairs and changeovers, we have a deep and thorough understanding of all the different tap types, their most suited usages, and most importantly, an understanding of all governing laws for child safe fixtures and fittings. All of our work is carried out in accordance with Australian Standards and our products are of the highest quality. There are countless designs and finishes when it comes to taps, however when it comes to the actual internal mechanics, there are four main types – compression washer, mixer, disc and cartridge. Obviously one of the most common problems with taps are leaks. Leaks can be caused by any number of reasons, such as incorrect installations, excessive pressure, worn washers and more. Before being able to diagnose the problem, you will need to determine what type of tap you have. 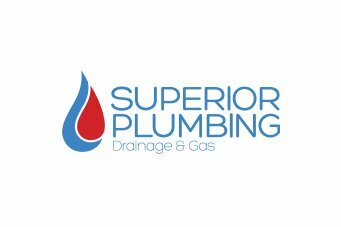 Superior Plumbing have the experience, tooling and equipment to help you solve all your tap needs. Here are the four main tap types, along with a basic overview of each. Compression taps are the most common type of tap and also the most problematic. Essentially, a washer tap works by positioning a washer covered nut up against the seat, which controls water flow. Compression taps always have separate hot and cold water taps. Mixer taps have certainly become more popular over the years due to their stylish design and ease of use. 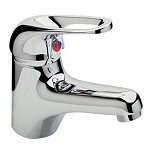 Mixer taps are recognisable by their single lever handle and rounded cap. Both hot and cold water supply is controlled by the same handle. Essentially the mechanism works by rotating the ball joint, and lining up different holes to allow water to pass. 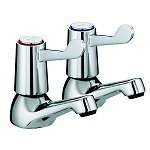 Ceramic disc taps are also single handle mixer taps and are distinguishable by their often wide cylindrical body. These type of taps work by using two ceramic disks which have holes that, when aligned, allow water flow. Disc taps are often desirable as they’re much easier to use as opposed to more traditional type taps – in particular, compression taps. Cartridge taps are often difficult to spot as there’s no real way of knowing what type of tap you have until you disassemble the unit. Cartridge taps have an internal cartridge which, when twisted, permits water flow. 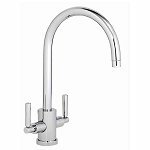 Cartridge taps can be either single or double handled and are often used in kitchen settings. Noise transmission is when sound, such as banging, is transferred into the wall of a water pipe. It is more common in iron and copper pipes (compared to plastic) as metal amplifies the noise. Obstructed or dirty washer seat. Water hammer is a banging or vibrating sound that is often quite loud depending upon its severity. Water hammer usually occurs when a tap or valve is suddenly closed, which causes hydraulic shock waves to be transmitted through the pipe. This results in an often unsettling loud banging noise which can often echo throughout the property. Taps with low water pressure over time can prove nothing but frustrating. A slight trickle from the bathroom basin, less than satisfying showers, and garden hoses that literally just dribble. Daily frustrations such as these might seem trivial, but they are easily fixable. Often, taps with low water pressure are the result of a leaky pipe, faulty plumbing designs or blocked pipes. Of course, if you’re experiencing any issues with taps in your property, then be sure to give us a call at Superior Plumbing. We will resolve your tap issues, quickly, efficiently and without fuss. We can also assist with all your tap maintenance and plumbing needs. It’s been estimated that a dripping tap over a one year period can waste up to 30,000 litres of precious water. Not only is this incredibly wasteful, but costly too. 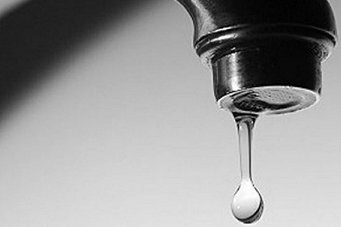 Dripping taps might seem trivial or annoying at best, however if left unrepaired, a problem like this can quickly escalate into something much more problematic. Something as simple as replacing a washer, if not done when needed may result in complete failure of the fixture, which can then of course result in extensive water damage to property and belongings. Don’t let this happen to you. Our dedicated team of tap plumbing professionals can easily repair, service and replace any leaking or stiff taps quickly and efficiently. 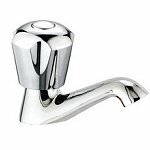 In addition to repairs, our friendly plumbers can also supply and install all makes and models of new taps for you. We carry a selection of taps in all of our service vehicles for your convenience. We respect your time and appreciate your business. We believe in performing all jobs quickly, and with the highest standards. This is why all of our vans are fully equipped with high quality materials to get the job done – without having to visit suppliers and charge you for the additional time. Our technicians are highly knowledgeable and experienced to ensure you get the best service. All of our work is backed with a 100% guarantee, and most importantly of all – we make sure to clean up once we’re done, so that your place is left the same way we found it. Give us a call today to see how we can help.